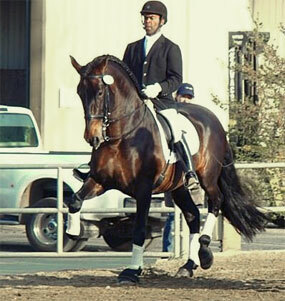 Michael Etherly Dressage would like to wish a huge congratulations to our excellent manager, Erin Brennan, for graduating law school and passing the CA state bar. Now, for all business correspondance please contact Michael at . 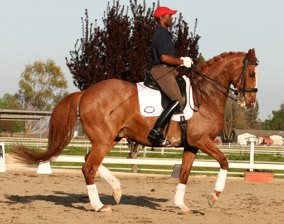 USDF Gold, Silver, and Bronze medalist Michael Etherly specializes in teaching correct rider position, explaining the half-halt, starting young horses, working with stallions, bringing out the brilliance in FEI horses, and helping riders accomplish their goals, from First Level to Grand Prix. Michael Etherly is always accepting new clients. For directions to the new facility, please see the Contact page. Please do not hesitate to contact Michael at or 916-807-0001 if you have any questions or concerns.